Dragon Scout Group, my alumni mata, a big extended and historical family outside my very own family. They had their annual Group Camp at Sarimbun Camp from the 4th to 7th June 2010 and it was my first involvement with them for the year 2010 since I was out of action for the past 3 months and I missed Founder’s Day Celebrations with them. I went on both Saturday and Sunday, didn’t stay overnight, nevertheless, had a great time there. On saturday, went in with my fellow batch Dragon Scout, Junjie & his wife. Upon reaching, we toured the campsite, looked at their tents, kitchen sheds, shoe racks, clothes hanger/line, campsite gateway, kitchen equipment, looking at them brought back many funny and interesting scouting memories for us, the good old days of Dragon Scouting. Exploring the Sarimbun Camp further, watching the young boys and girls participating in different activities, from confidence course, flying fox to team building games. 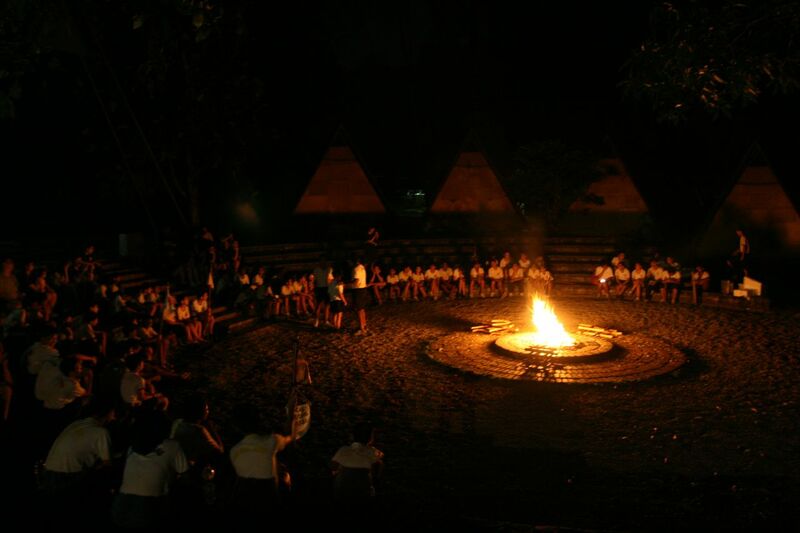 In the night, there was a campfire for them inside Sarimbun Camp and it was great to see more old boys coming down to join in the fun at the campfire. On Sunday, the morning was hit by wet weather and it posed a great challenge to the patrols taking on backwoodsman cooking in the morning, the firewood collected were wet and starting a fire was a big challenge for the patrols. Nevertheless, the patrols still managed to get the fire up with a little bit of help and started cooking. Remembering our era Dragon Scouting days of backwoodsman cooking, it was always a hot activity due to heat from the fire and the sunny weather ! After lunch, there was a switch over and the patrols that did canoeing in the morning proceed to backwoodsman cooking. The weather now was hot and dry, therefore, it was much easier for them to get the fire started and conduct backwoodsman cooking. 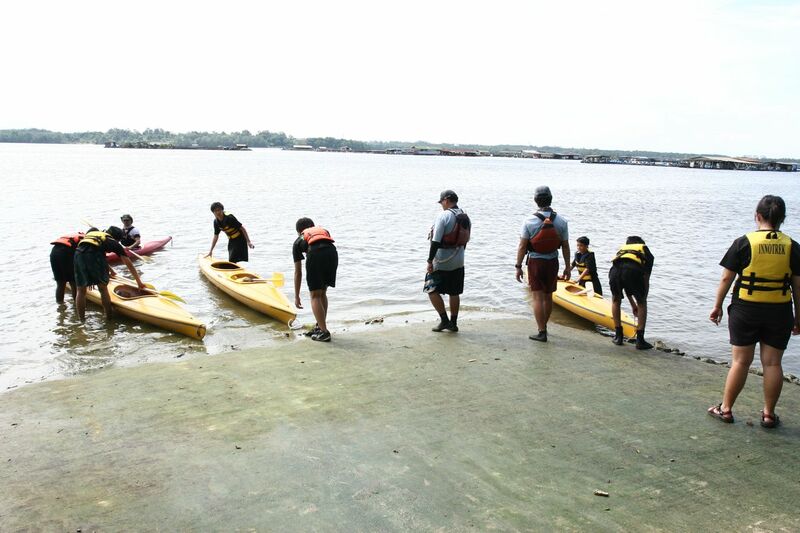 Before I joined them, followed the patrols to carry their canoes to the ramp and launch their canoes, due to my existing injuries, I decided not to join them in canoeing (As much as I would love to canoe !). Walking back to the backwoodsman cooking by the other patrols, they don’t have to deal with the muddy grounds and wet wood, twigs and branches, thus really bringing it back like before, it got really hot and smokey, just like the good old days ! As the evening of Sunday approaches, I took my leave and let the boys and girls of Dragon Scout Group to continue their fun at Dragon Scout Group Camp ! 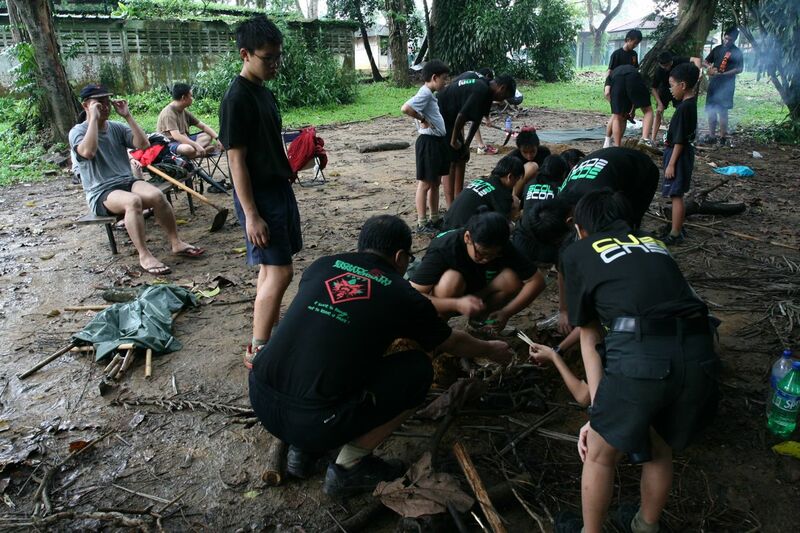 Check more photos of Dragon Scout Group Camp 2010 ! A New Specs = A New Portrait ! What a great time ! 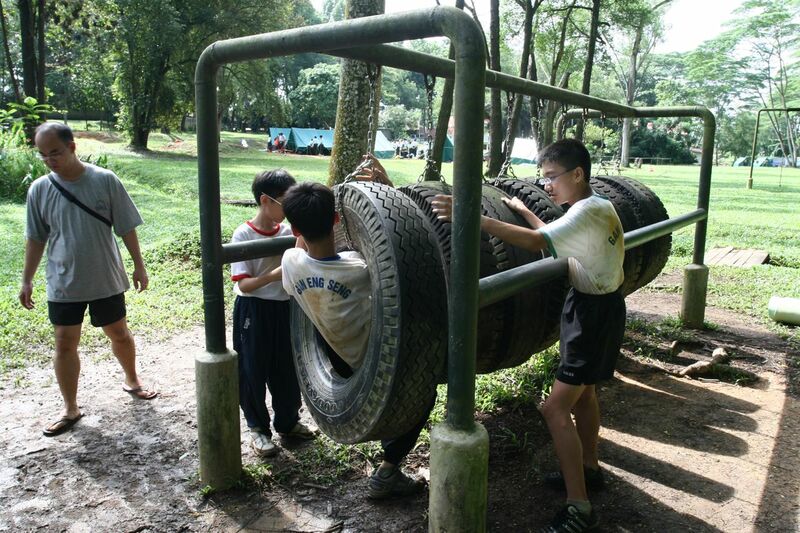 The activities are all great and seems to be really exciting.